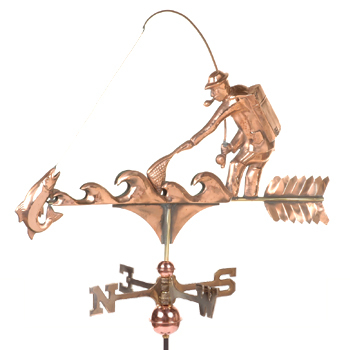 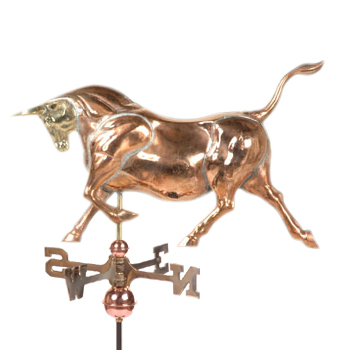 Weathervanes from Missisquoi Cupolas & Structures are a must have and make a perfect gift. 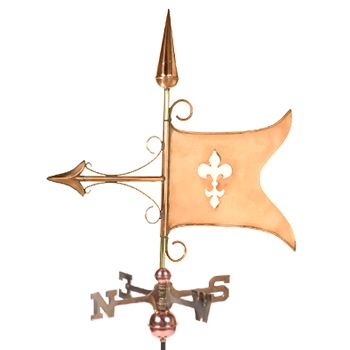 They have been used to determine wind direction for centuries but they also make a beautiful addition to your house, your garage or your shed. 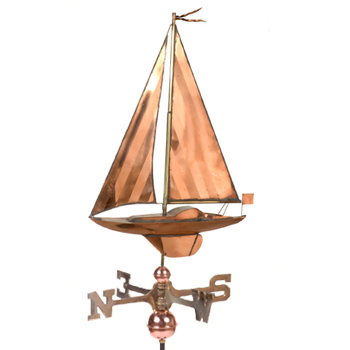 Either you are passionate of animals, fishing, sailing or anything else, we have one of the largest selections in Canada. 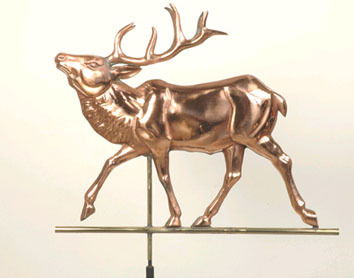 They are made of a combination of polished copper and brass. 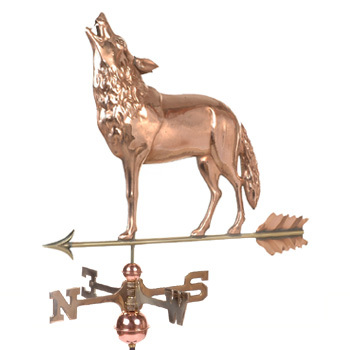 The superior quality of these pieces are unsurpassed. 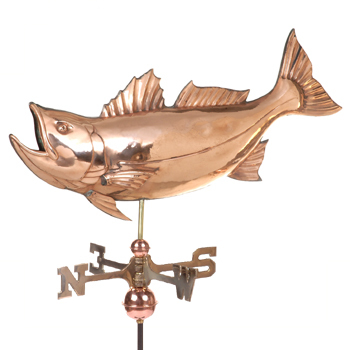 You’ll find the largest selection of swell-bodied and full-bodied designs. 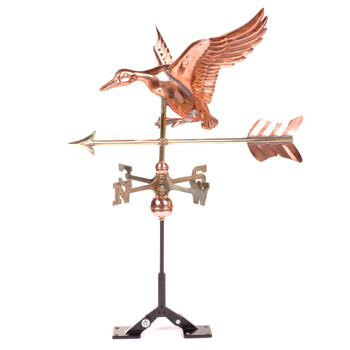 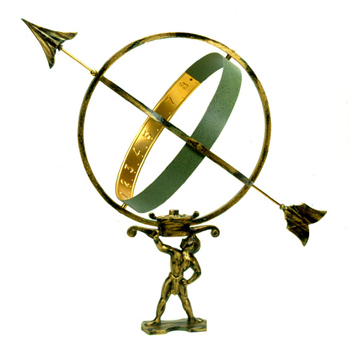 Weathervanes are traditionally used for the rooftop or in the garden, but they can just as well be displayed inside the home on a mantel or floor display. 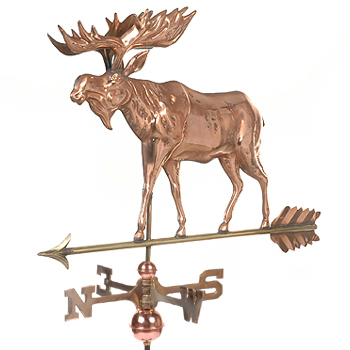 If you are ordering for delivery in Canada, you need not look any further. 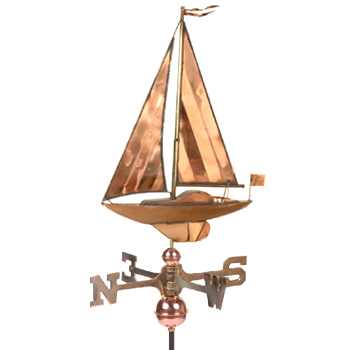 They all include 1 smallcopper ball, 1 large copper ball, and brass directionals. 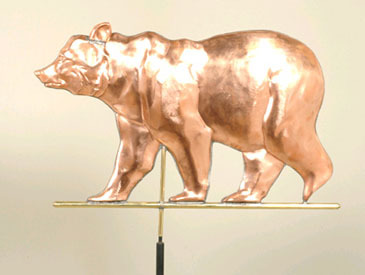 Prices shown are in Canadian dollars. 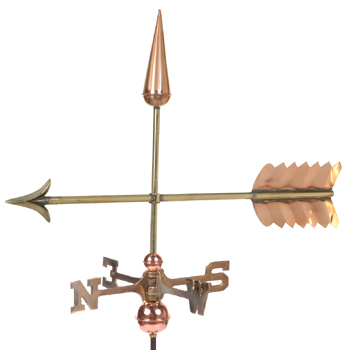 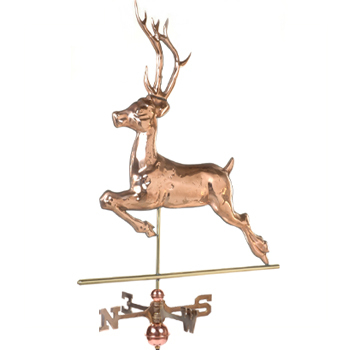 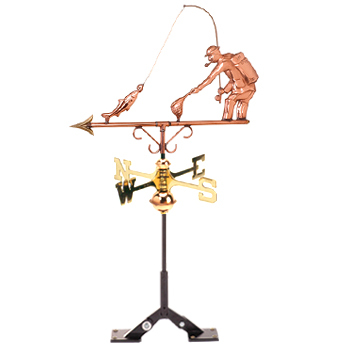 All weathervanes are in stock and ready for immediate shipment unless otherwise indicated.